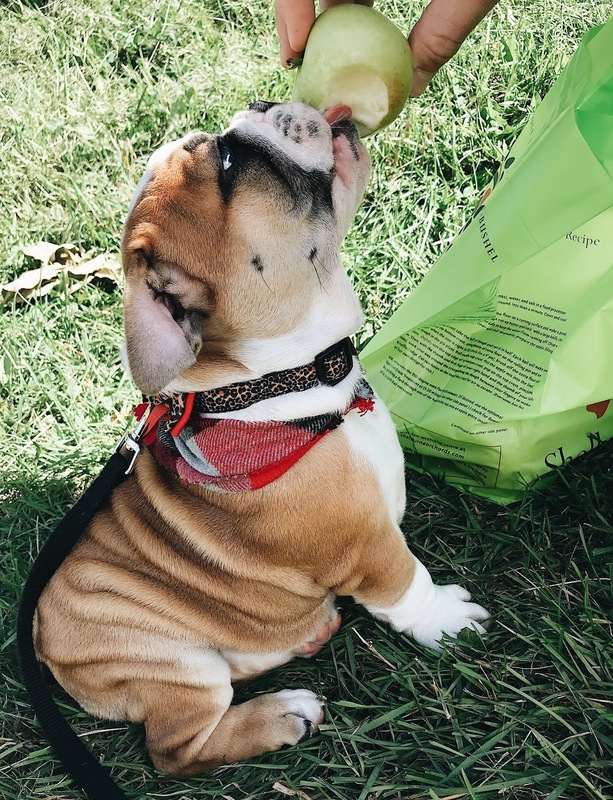 N I C H O L L E S O P H I A: Apple Picking & Meet Penelope! 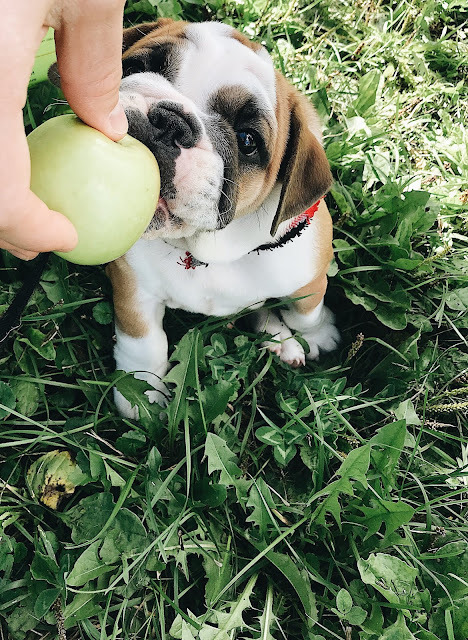 Apple Picking & Meet Penelope! It's been a crazy couple of weeks- If you follow me over on Instagram you would know that Kyle & I got a puppy! She is the cutest little chunk and I'm so in love with her, I hate leaving her precious little face in the mornings to head to work. Penelope is an 8 week old purebred English Bulldog. For as long as I can remember I've wanted an English Bulldog so it's crazy to me that I actually got one! A few weeks back Kyle said he thought we should get a puppy and so began my hunt for the perfect one- there were lots of cute contenders but this one stole our heart! Penelope is from a breeder in Pensylvania- there's actually only one breeder in Vermont and she didn't have an upcoming litter. So far Penelope has been the best dog- she loves to snuggle, eat, and nap- my three favorite things! I've had a lot of people message me about wanting a bulldog and while she is the cutest thing ever I do want to forewarn you that they are slightly high maintenance as well as being a very costly puppy upfront. Penelope needs her face wrinkles cleaned every day (sounds cute I know!!) as well as frequent ear cleaning and a very specific grain free diet as they have very sensitive skin and can easily get rashes. I will say though I've never met a sweeter dog! Last weekend we headed to the apple orchard for a fun fall day. Penelope loved it and actually enjoyed 'eating' the apples- so cute! I intended on picking enough apples to make an apple crisp but when I got up to the stand to pay I realized I had picked waaaay more- 7 pounds to be exact! My favorite apples are honey crisp and they were huge and delicious this year. My apple crisp turned out soo good! 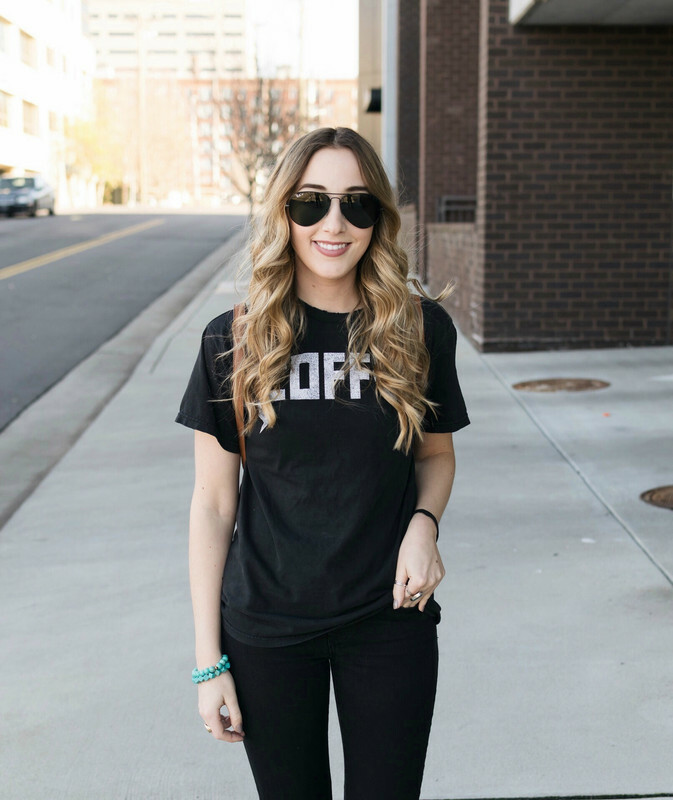 Do you have any fun fall activities planned?